While best known for her writings on spirituality and women's issues, Patricia Monaghan is also a wine expert. With evocative description and careful scholarship, Patricia Monaghan takes readers on a journey through the countryside of Ireland and its many sacred sites. Patricia says: “The goddess does not merely remain alive in Ireland­she is Ireland.” We meet Cailleach (the old one, the hag, the crone), Brigit (goddess and saint), Queen Mebh , the Morrigan , Macha, Bo Finne (the cow goddess), and The Red-Haired Girl from the Bog (a fairy lover). We hear their stories, visit their sacred lands, and travel with Patricia as our guide. Please feel free to bring images of Celtic Goddesses (statues or visual images), photos of sacred sites in Ireland, your own stories of trips to Ireland, and your own ideas sparked by this book. BookWoman has copies of the book for sale. One of the leaders of the contemporary earth spirituality movement, Patricia Monaghan spent more than 20 years researching and writing about alternative visions of the earth. Patricia Monaghan was a poet, a scholar, a traveler, a writer, a gardener, a teacher, and a Daughter of the Goddess. She loved to tell jokes, to cause trouble, and to support the study of myth. Come to Bookwoman on March 19 to remember Patricia and to revel in a small sample of her panoramic work. Renee Rabb is an ordained priestess of the Re-formed Congregation of the Goddess and serves as treasurer of the Association for the Study of Women and Mythology, a group co-founded by Patricia Monaghan to encourage scholarship in the study of Goddess legend and research. 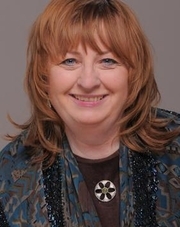 Patricia Monaghan is currently considered a "single author." If one or more works are by a distinct, homonymous authors, go ahead and split the author. Patricia Monaghan is composed of 6 names. You can examine and separate out names.